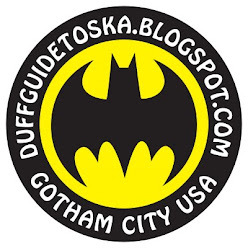 The Duff Guide to Ska: Duff Review: Phoenix City All-stars "Two Tone Gone Ska"
Duff Review: Phoenix City All-stars "Two Tone Gone Ska"
Imagine if the classic This Are Two Tone compilation had been interpreted and arranged by the sixties-era Skatalites and you'll have a good idea of what the Phoenix City All-stars' stellar Two Tone Gone Ska album is all about (they're marketing it themselves as "2 Tone meets Studio One," which is pretty apt). These versions of 2 Tone's greatest hits (forever embedded in the heads of every self-respecting ska fan worldwide) are surprisingly smart and fresh--providing the listener with a new--albeit vintage sounding--perspective on these very familiar and treasured tracks. Things kick off with Prince Buster's foundational instrumental "One Step Beyond" (of course, forever immortalized by Madness in 1979), which here is given such a fantastic, traditional ska reading that it sounds like Tommy McCook, Roland Alphonso, Lester Sterling, Don Drummond, and Co. recorded it back in 1963. A terrific, lively instrumental version of The Specials' "Stereotype" features a vocal line that is split between an Ernest Ranglin-ish guitar and a melodica (but you'll still be singing the words in your mind!). While the Phoenix City All-stars' "Tears of a Clown" (originally by Smokey Robinson and the Miracles)--with the great Dave Barker on vocals--discards The Beat's breakneck speed and rhythmic complexity (as well as Saxa's propulsive sax blasts) in favor of a stripped-down sound and rocksteady beat, this winning version can stand proudly alongside The Beat's (and it'll be yet another compelling take on this song etched in your brain!). As much as I love Madness' "The Prince," it has this awkward, jerky ska/rocksteady rhythm to it that has never quite worked. However, in the hands of the Phoenix City All-stars it really swings here--and the ice rink organ taking on the vocal part sounds like Jackie Mittoo or Winston Wright (even King Hammond!) behind the keyboard (it's hard to dance to the original "Prince," but you can really groove to this). The Phoenix City All-stars' version of Neol Davies' seminal single "The Selecter" (AKA "Kingston Affair") is kind of a shock at first listen. You fully expect to hear an approximation of the hot summery insect buzz of the percussion, the crisp ska rhythm guitar, and then the lazy and haunting trombone line. Instead, one is hit with a very brisk and brilliant sixties big ska band rendition of this track. The non-ska 2 Tone single that got (given) away, Elvis Costello's "I Can't Stand Up for Falling Down" (originally by Sam and Dave) finally receives a boss ska treatment with Dave Barker's sweet, high tenor floating effortlessly on top (though I have to say our own Bluebeats do a great ska take on this song, too). Arguably the most significant and magnificent 2 Tone cut, The Specials' "Ghost Town" is revved up and has more bite and minor-key tension with The Skatalites' massive horn sound that is broken by a wonderfully ringing Lynn Taitt-like guitar coming in for the "Do you remember the good old days before the ghost town?" vocal part (the original depicts the desolation and desperation of Thatcherite England, while here it sounds like you're experiencing the frustration boiling over, as youth of all colors run riot in the streets...). Lastly, The Specials' "Too Much Too Young"--which borrowed heavily from Lloyd Charmer's "Birth Control" in both melody and subject matter--is remixed as "Too Much Too Dub" and seamlessly alternates between the two versions of the song (The Specials' bass line vs. Charmer's keyboard riff), as if a selector is shifting the crossfader back and forth on the mixer. This is a terrific manner in which to illustrate the evolution, if you will, of this track from one band to another, as well as celebrate the connection and admiration the 2 Tone bands had for their Jamaican musical forebears (check out all of the sixties ska cuts The Specials, The Selecter, The Beat, Madness, etc. covered here). To be honest, I was a bit skeptical about this album before I actually had the chance to hear it--these tracks have been endlessly mined by bands worldwide and haven't always yielded positive results. 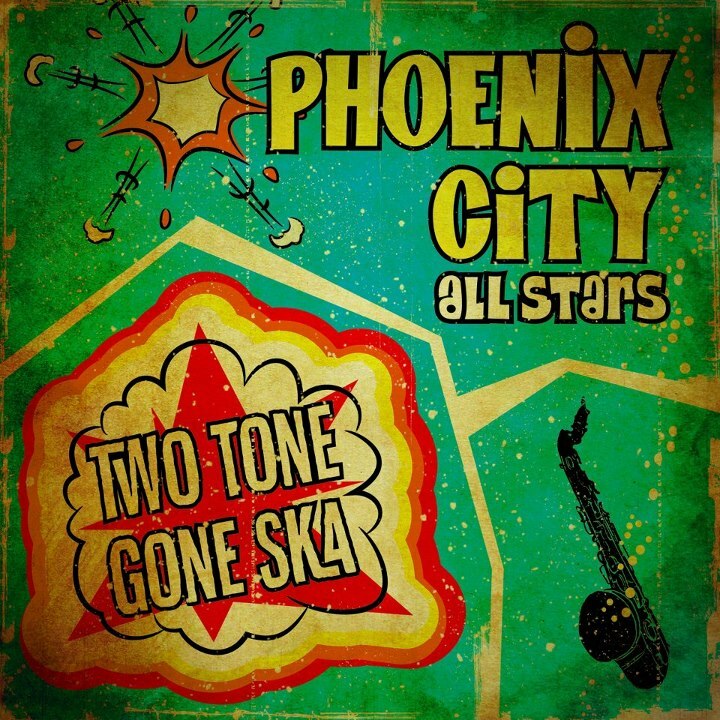 But the Phoenix City All-stars' vision and daring in their approach to the 2 Tone catalogue works incredibly well. Rarely have I liked and enjoyed an album of covers as much as this one. Thank you so much, Sir Jorge! Clean review! they are dope! September Electric Avenue Ska Show Announced!